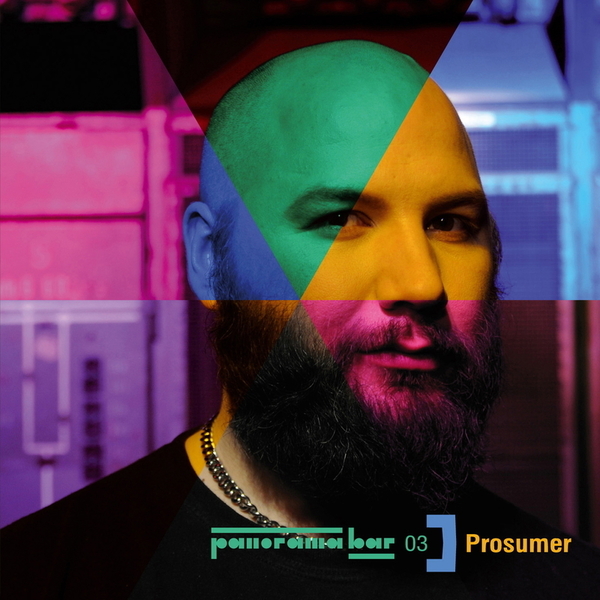 Prosumer heads up the third Panorama Bar mix with an expertly curated sixty six minute selection cruising between timeless classics, rarified obscurities and some right curveballs. His DJ sets at P'bar have provided both moon-eyed dancers and tight-lipped shufflers with a wealth of House music epiphanies over the years, largely due to a pure and abiding love of the music he plays, and the way he plays it. This set embodies that spirit, taking in total classics like Theo Parrish's 'Twin Cities', QX-1's 'Love Injection', Romanthony's 'The House Of God' or Fingers Inc's 'Music Take Me Up', and setting them in a modern context with UK Funky from Lil Silva on 'Pulse vs Flex' (we heard him mix this with Tyree's 'Video Crash and were floored! ), or Oracy's seductively driving 'Bass Mood', for example. Like his production partner and fellow P'bar resident, Tama Sumo, he shares a taste for House music with a round, juicy, spanking bottom end and drums which make you dance like you mean it, dance music with a technofied soul and certainly none of that formulaic line-dancing Tech-House bobbins. Recommended!